The client in this data recovery case had a problem. And soon enough, that problem turned into two problems. Their first problem was that they’d accidentally deleted a bunch of their documents from their Samsung external hard drive. Their second problem was that, before they could unplug the drive from their computer, it slipped off of their desk and hit the floor. When a hard drive falls from even just a few feet while running, hard disk failure usually ensues automatically, as Gillware’s years of dealing with dropped hard drives will attest. Fortunately for the client, Gillware’s data recovery engineers happen to be experts at solving both of their problems. First, our cleanroom engineers would need to take a look at the drive in our cleanroom and make the necessary repairs. Then, once we’d created as perfect of a disk image of the failed drive as possible, our logical data recovery technicians would dredge up as many deleted files as possible. In our cleanroom, our engineers took a close look at this Samsung hard drive. It seemed to be in relatively good shape. Our engineers didn’t spot any visible damage to the hard drive’s platters. Furthermore, the read/write heads seemed to work well enough for our fault-tolerant data recovery tools to talk to them—or at least, most of them. Most hard drives have more than one hard disk platter inside them, and store data on both surfaces of each platter. And so, of course, they have multiple read/write heads. HDD manufacturers stack the heads on top of each other, and the entire headstack moves as one. 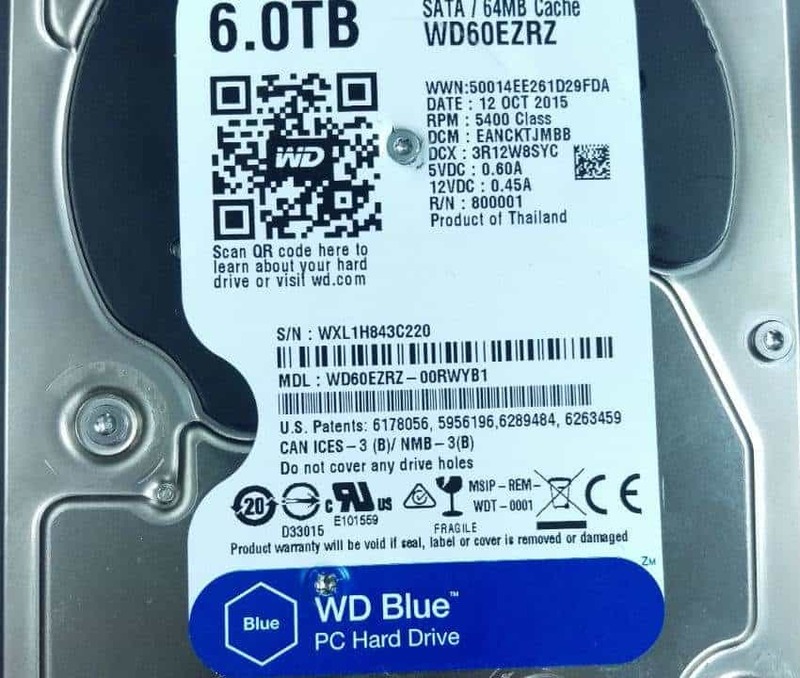 All of the heads save for one in this Samsung hard drive were functional. The data stored on hard disk platters goes from the outside in. Sectors take up more physical space the closer you get to the rim, and become more densely packed as you approach the center. Your hard drive will want to use the outer sectors and work its way to the inner edge for each platter surface. And so your data ends up distributed across the surface of each platter. The data stored on your hard drive “jumps” from one platter to the next, typically in increments of tens or hundreds of thousands of sectors (depending on the manufacturer). It’s very common for part of a given file to live on one platter surface and the rest of it to live on a completely different surface. With one head not working, our engineers were essentially “locked out” of an entire platter surface, even though they could image the data on all of the other surfaces just fine. This led to a lot of incomplete files. So, of course, we had to completely replace the failed hard drive’s headstack. After replacing the headstack, our cleanroom data recovery technicians could image 99.8% of the platter surfaces. Save for a handful of bad sectors, it was a near-perfect recreation of every bit of data on the drive. Our logical data recovery technicians could use this image to uncover deleted files. When you delete files from your hard drive, the filesystem does some housekeeping. 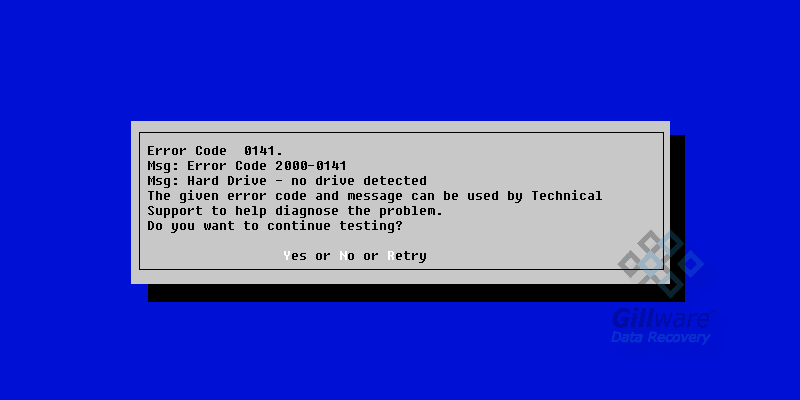 For drives with NTFS partitions, the bitmap keeps a record of used and unused clusters of data. We normally use the bitmap to make data recovery more efficient—but it helps us find deleted files, too. Instead of automatically erasing your data, the filesystem goes into the bitmap and marks the clusters containing those files as “unused”. The files still exist—olny exiled from the filesystem’s housing plan. However, continuing to use a hard drive after deleting files can cause those deleted files to become overwritten with new data, erasing them for good. Because the client had dropped their drive so soon after deleting the files, we weren’t concerned about too much data having been overwritten. 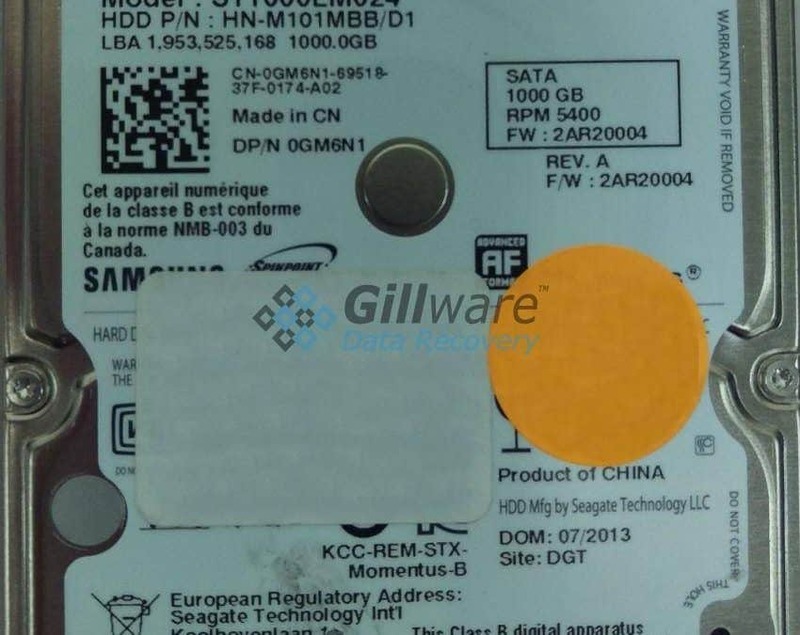 Our professional hard drive data recovery engineers managed to recover 98% of the files from this client’s dropped Samsung hard drive, including the personal and financial documents they’d accidentally deleted. 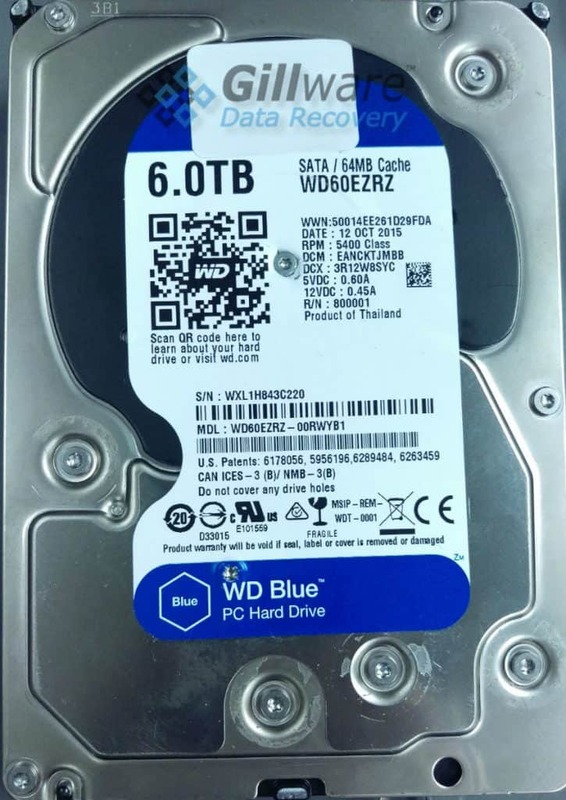 We rated this hard disk failure recovery case a 9 on our ten-point rating scale. In a weird way, this client had managed to actually preserve their data by dropping their hard drive. Dropping the drive meant there was no chance they could write any new data to the drive, ensuring most of their data’s integrity. Proof that every cloud has its silver lining—although if people started dropping their hard drives to maintain the safety of their deleted data, we here at Gillware would have to condemn such a practice.